Hope you are all doing really well ? Pheww! it feels like things have got so crazy the past week. I have been a busy bee with uni work today, but luckily I had a spirt of motivation and managed to get most of my assignment finished. I also have quite an exciting day planned for Friday, as I'm attending a secret launch event. I haven't really been to many events, as I'm quite a shy one! but I'm excited about Friday and getting to meet some lovely S.Wales bloggers woohoo. I'm planning my outfit and make-up already, and will definitely be posting about how it went. Anyway lovelies, Today's post is going to be about a gorgeous gift set that will 100% give you beautiful radiant skin just in time for the Spring and Summer. I'm sure you all know how much I love Elemis and how much I regard them as a brand. I started using Elemis in January 2013, and started working at an Elemis Spa in April 2013. 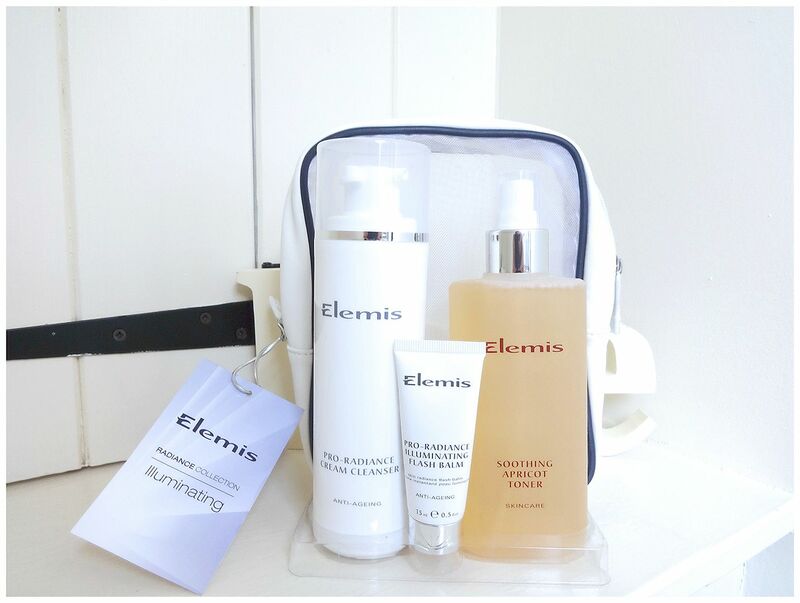 I have loved every moment of working with the brand, and Elemis really do pull out all the stops to ensure that their products are of the highest, and most natural standard possible. I will be talking about the Elemis Illuminating Radiance Collection today, as its a fabulous little gift set that will ensure your skin is kept naturally glowing and hydrated. I hope you enjoy to days post lovelies, and if you ever need me for anything then make sure you contact me either down below, or via my social media icons. I would also love to hear your thoughts on this post, especially if you have tried, or are thinking about trying Elemis! The Pro Radiance Cream Cleanser is a lovely anti-ageing cream facial cleanser. I love using this when my skin needs a radiance and moisture boost, as it uses plant extracts, skin-protecting Moringa Seed Peptide and Great Burdock to balance, protect and brighten the skin. It has a very light fragrance of Sweet Brazilian Orange, Ylang Ylang and Patchouli which makes it a lovely product if your you like a light scent, but don't like anything too overpowering. It offers a luxurious but practical cleansing experience, and will leave your skin feeling completely calm and well cared for. 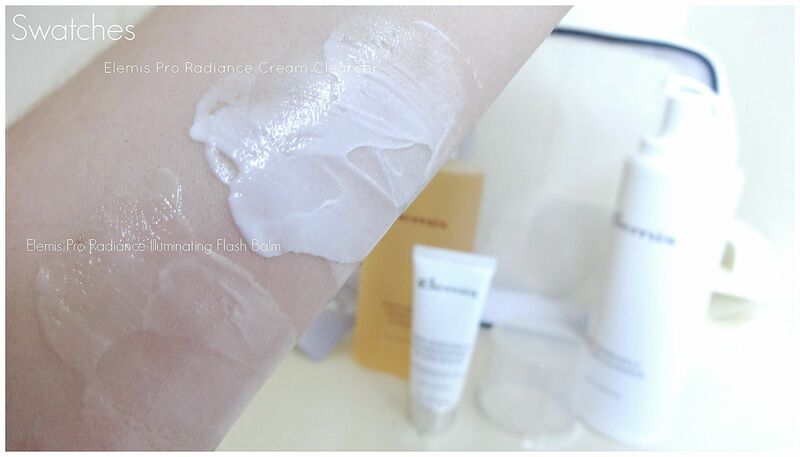 Described as being a "hybrd moisturiser" The Elemis Pro Radiance Illuminating Flash Balm is not only designed to flatter the complexion, but also to hydrate and protect your skin. The balm is formulated with an impressive vitamin complex that help to protect against moisture loss and anti ageing. I love using this product, and find that it works really well as a primer too! it doesn't ball under your finger tips or separate your foundation at all. I think that its most impressive feature is the way it illuminates the complexion without making the skin look like its sparkling. It does have quite a strong scent (which I find relaxing and very spa like) but for some people it might be a little strong if you happen to be sensitive to various scents. This beautiful toner needs very little introduction for me, as I feel like I spend half my time praising this product. I'm on my fourth bottle now, and I already have two backed up for when I run out haha! I would definitely say this is one of my real HG products of all time... I can't ever see myself being without one (Its love). The Elemis Soothing Apricot Toner uses extract of fragrant Apricot to soothe, harmonise and refresh the skin. It's alcohol free, and I would definitely say its suitable for very sensitive skin, as well as all other skin types really. If you are looking to buy your first toner, or perhaps just fancy a change then I would definitely recommend giving this lovely product a try.